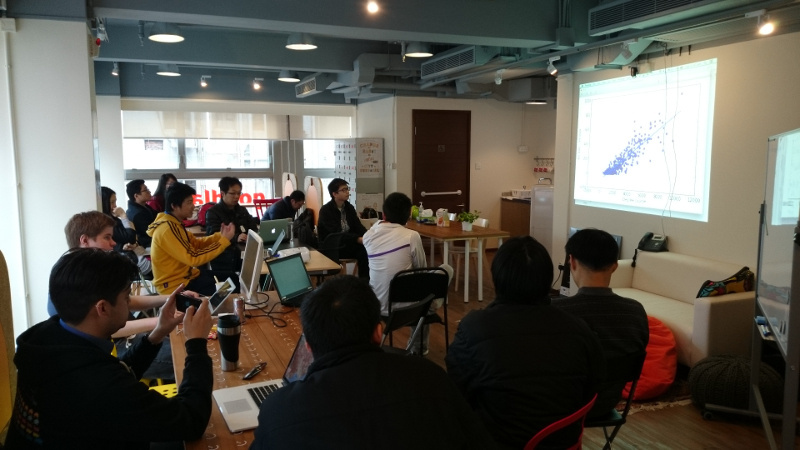 At Open Data Day 2014, I organize a hackathon to continue hacking data, and we discusses the status of open data and their concern of lack of open data in Hong Kong. 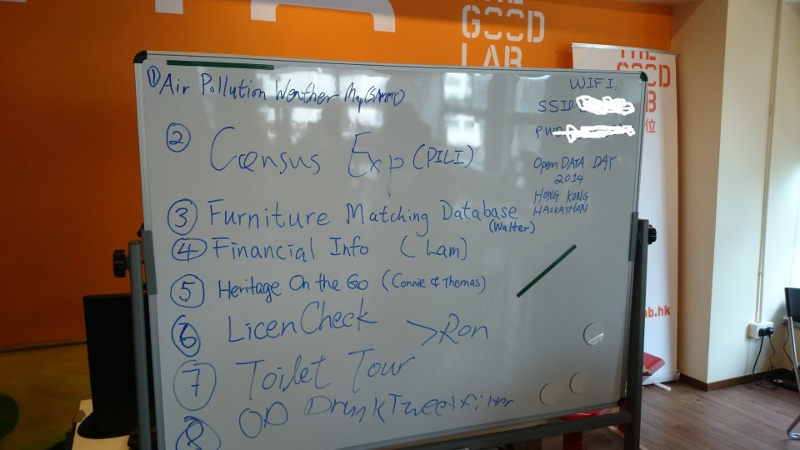 Hackathon is started from 11am at The Good Lab’s new co-working space in Prince Edward, more than 20 persons joined and introduced the following open data projects they works on. Teams also demonstrates projects at 5pm. 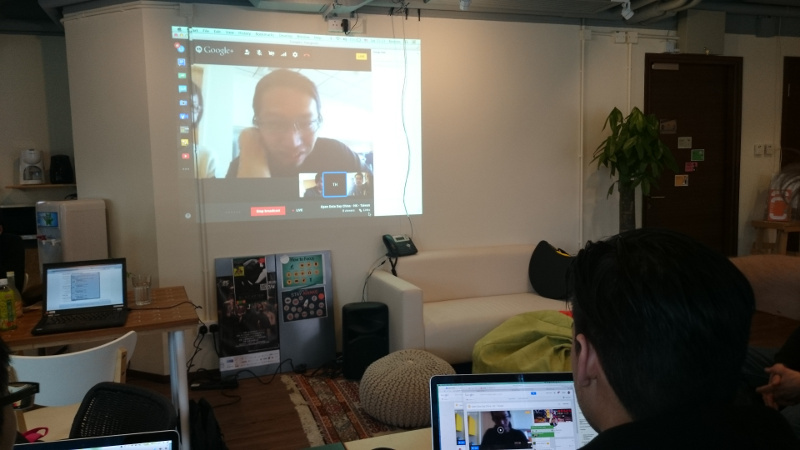 Besides data hacking,Bastien and Mart from ODHK connected with Code for Tomorrow Taiwan and Open Data Day China on Google+ hangout at 3pm. This entry was posted in Tech and tagged opendata by Sammy Fung. Bookmark the permalink. ← Previous Previous post: Where should tourists visit in Hong Kong ?